Stacy Tessler Lindau, MD, MA, director of the PRISM Clinic, talks with a patient. In the PRISM Clinic, women and girls of all ages can feel comfortable discussing sensitive concerns related to sexual health and cancer care. Our staff is specially trained to provide expert consultation and support at all stages of treatment or recovery. Parents, spouses, partners and family members are also welcome, based on each patient's needs and wishes. 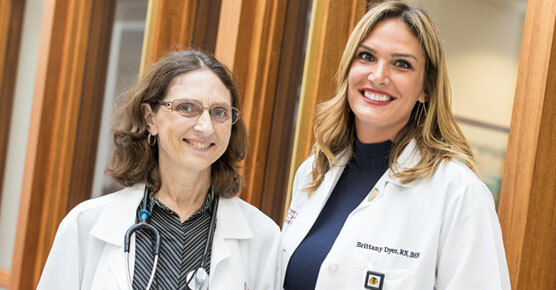 PRISM is the first program in Illinois — and one of a few nationwide — to devote a multidisciplinary clinical program specifically to the comprehensive assessment and treatment of sexual health problems in female cancer patients and survivors. 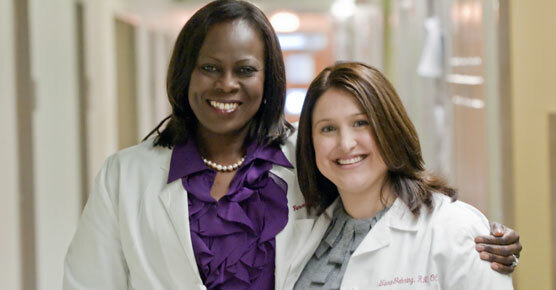 At UChicago Medicine, the primary goal of this service is to maintain quality of life during and following cancer treatment. Our PRISM Clinic offers an expanded approach to cancer care, evaluating and treating each patient's sexual health needs as they relate to her individual health. Our physician-researchers conduct clinical studies to identify techniques and improved strategies for treating female sexual dysfunction caused by cancer or its treatment. Gynecology, oncology and nursing experts apply knowledge gained from research to provide the most effective patient care for women and girls in the PRISM Clinic. Our highly skilled PRISM Clinic team combines the expertise of gynecology, oncology and nursing specialists to provide the best care possible for cancer patients and survivors. With our gynecology experts devoted directly to addressing patients' sexual health concerns, our oncology experts are able to focus entirely on acute cancer care. The PRISM team may also collaborate with specialists in radiology, sleep medicine, physical therapy, psychiatry, urogynecology, neurology, tobacco cessation and/or surgery to offer multidisciplinary care and treatment services as needed.